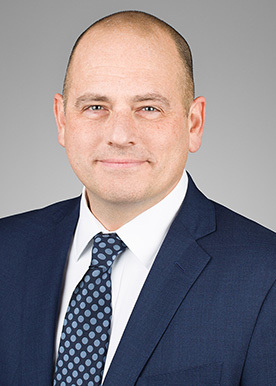 Kermit Nash counsels domestic and international clients on legal issues connected with their business operations, governance, strategy and investments. Privately held domestic and international corporations rely on Kermit to advise them on transactions ranging from mergers and acquisitions and sales development to distribution, licensing and financing. In his nearly 20 years of practice, he has represented both acquirers and investors, including private equity funds and venture capital firms, hedge funds and wealth funds. This breadth of experience, together with the hundreds of deals he has led, positions him to handle complex transactions involving multiple jurisdictions. Kermit advises offshore companies on their U.S. market-entry, including providing counsel on compliance, operational requirements and corporate strategies. He, in turn, works with U.S.-based companies on their offshore investments and relationships with non-U.S. partners. Beyond the borders his work crosses, Kermit is counsel to companies in industries including software, agribusiness, biotechnology, life sciences, energy, engineering, food processing, manufacturing, and e-commerce. Many of these industries are highly regulated, which demonstrates Kermit's ability to guide clients through difficult legal environments. Kermit's understanding of issues affecting businesses and their deals is also informed by several experiences beyond his law practice, including his studies in ethics and comparative international law at Rothberg International School, Hebrew University, in Jerusalem, Israel and his service on for profit and non-profit boards. Kermit also teaches business law, contracts, and business ethics as an adjunct professor at Northwestern College. An international precision manufacturing company on expansion in to the U.S.
A U.S.-based private family office on multiple investments into the value added technology and biotech industries for rapid growth in the U.S.